When I'm in a rush with makeup, I have a go to makeup look that is easy but bold. Throw on a winged liner and fun lip color, and you're good to go. Check it out! 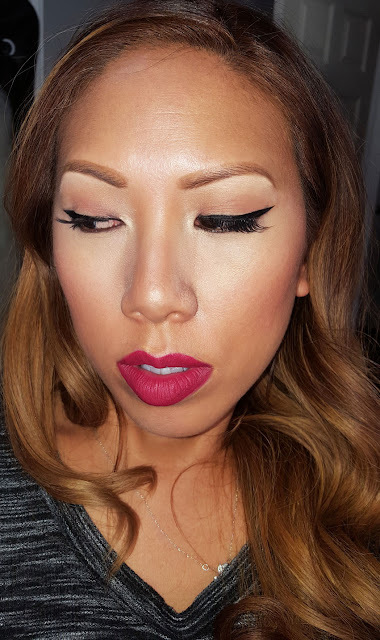 On my eyes I'm wearing my holy grail Inglot Gel Liner #77. 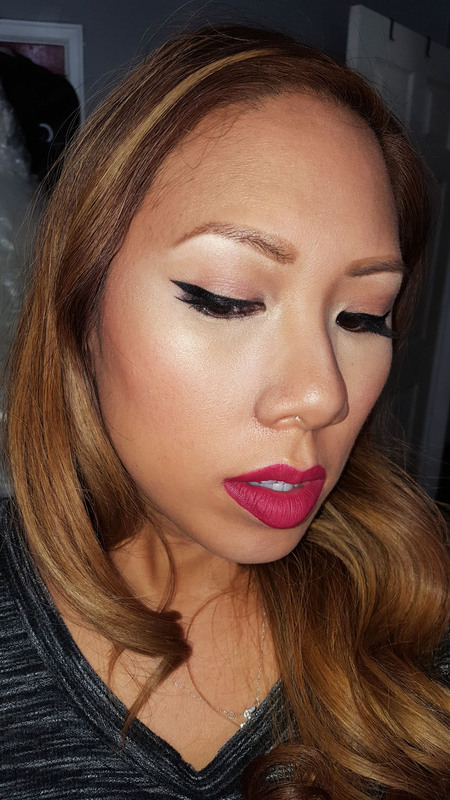 I created a bold wing that stands alone even without eyeshadow. Pair the look with clean brows and skin. I also went the extra mile to conceal around the lips to make the lips super neat. Hope you all enjoyed! Till next time, Ciao Bellas!